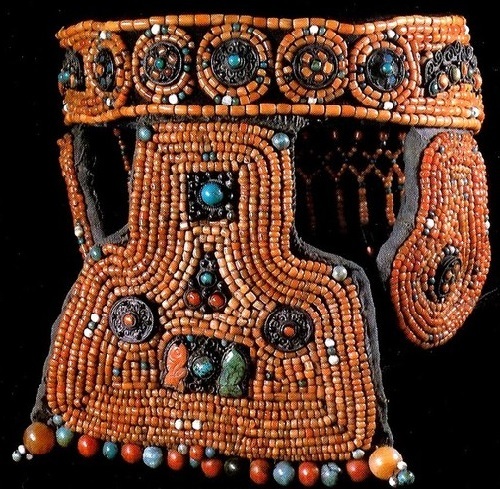 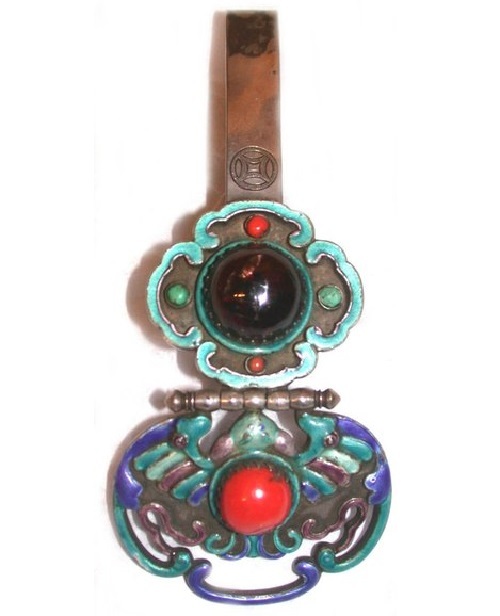 Ethnic Mongolian jewellery has a rich history and centuries-old artistic traditions. 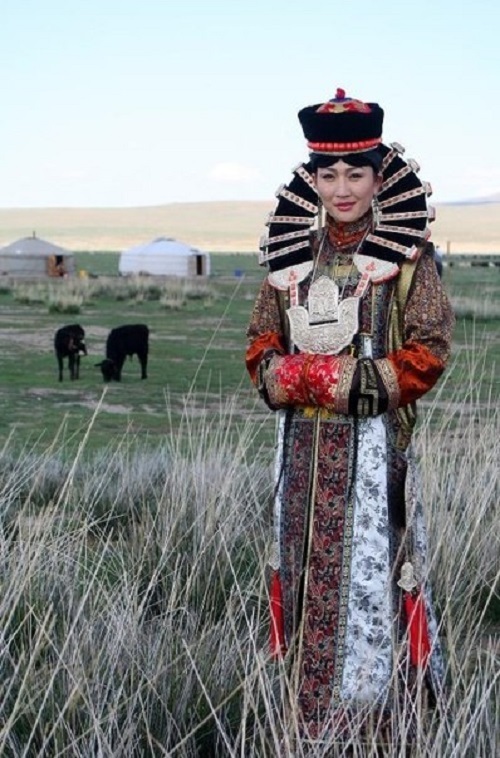 In Mongolia, there are many nationalities. 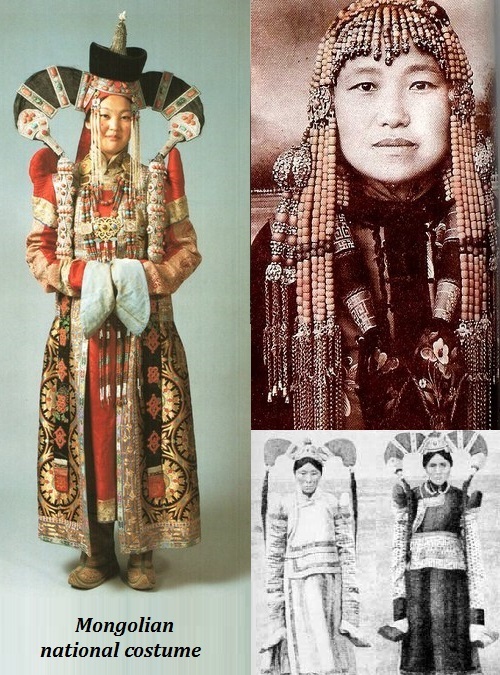 The women of these nationalities own their own characteristic decorations. 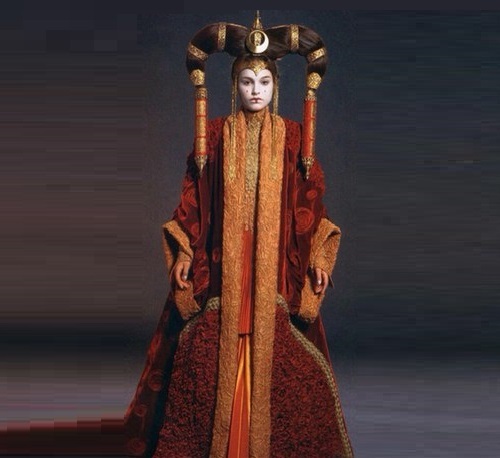 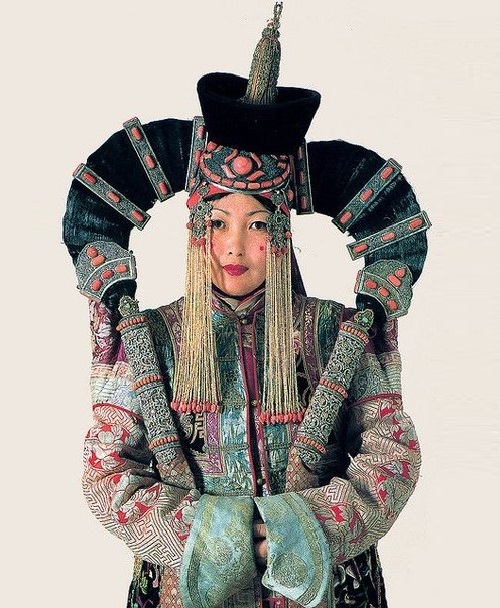 The most impressive of them are headdress called Khalkha. 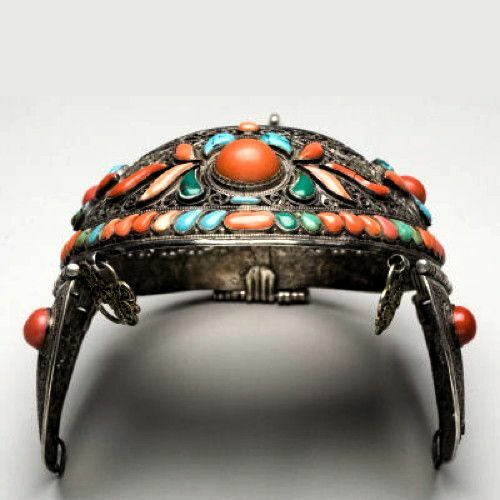 The main element of this piece – a special hairstyle, which is more like horns or wings of the mythical bird Hangarudi. 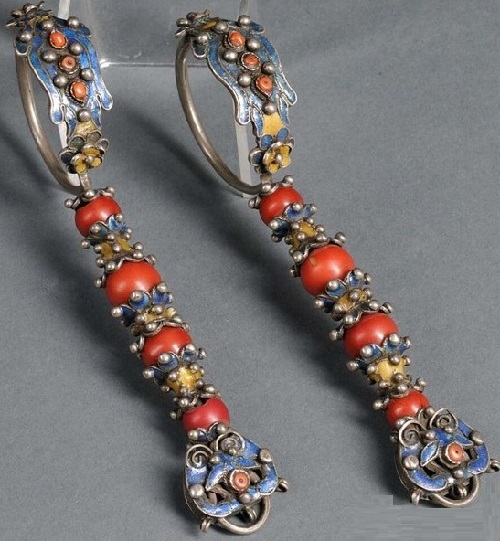 These wings are stacked with silver hairpins. 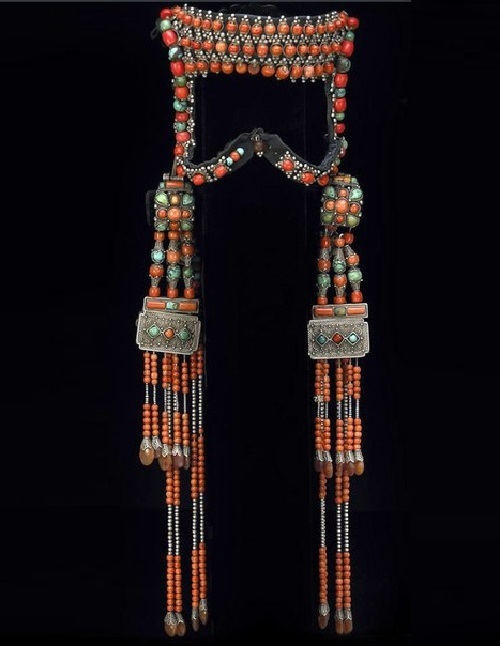 The basis is also a cap of pure silver decorated with coral, pearls, turquoise. 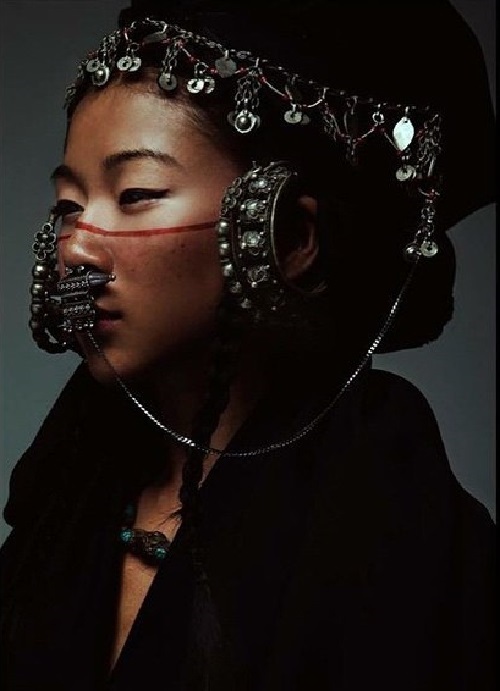 The lower part of braid is left in plain sight. 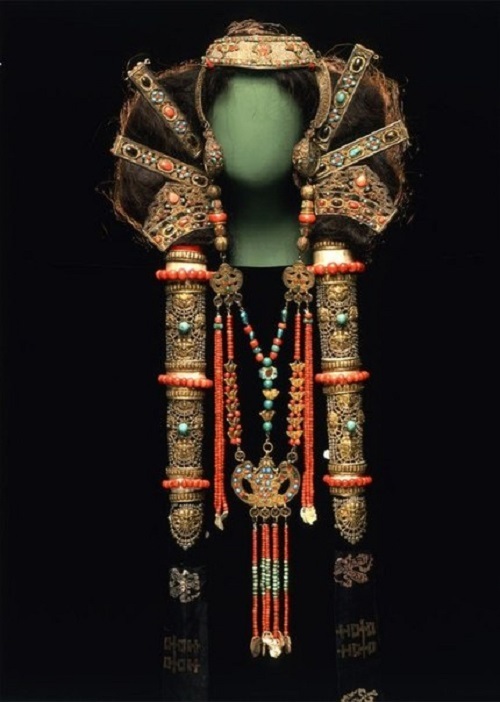 Rich women covered braid with special cover with sewn on them silver plates with filigree ornaments and splashes of pearls, coral and turquoise. 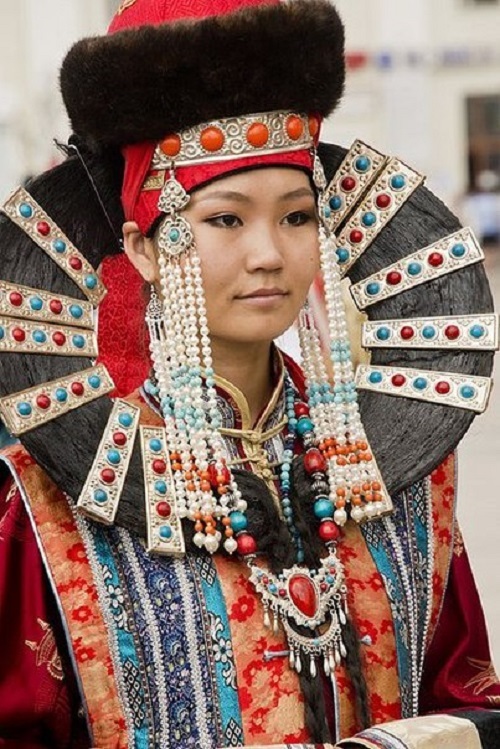 Mongolian women call earrings “suyh.” Most of them are long, made of silver, red gold, decorated with turquoise, coral and pearls. 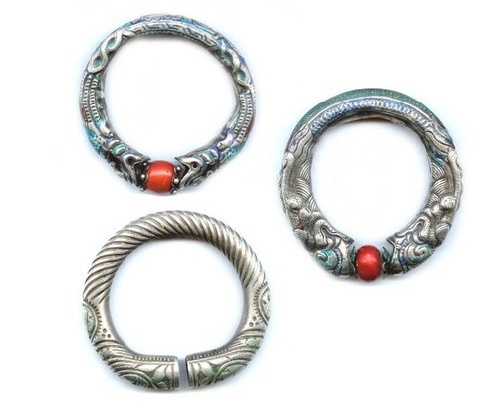 Rings and bracelets are also made of gold and silver with engraved patterns, sometimes enamels. 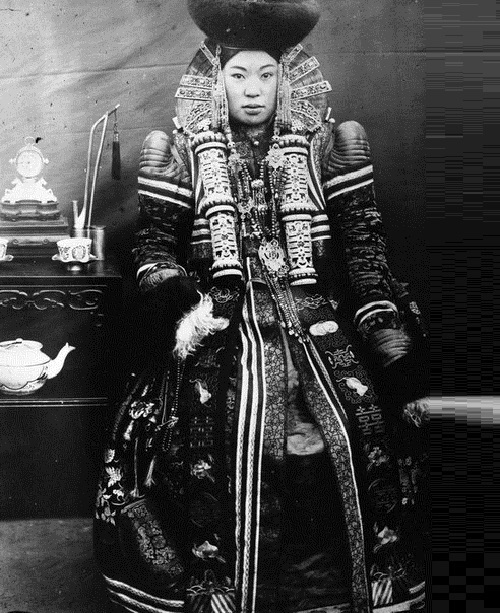 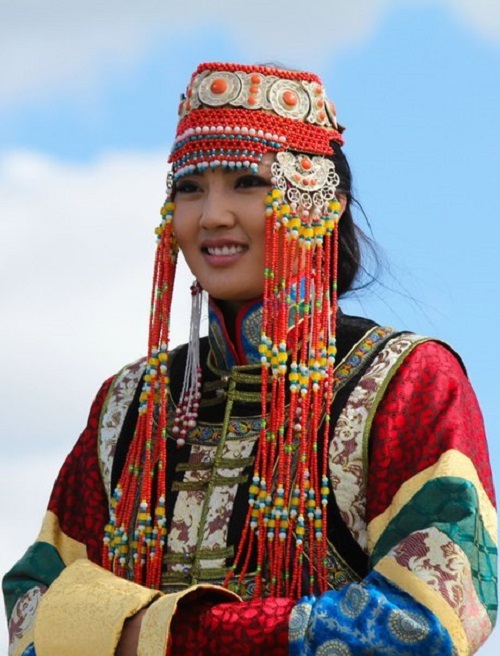 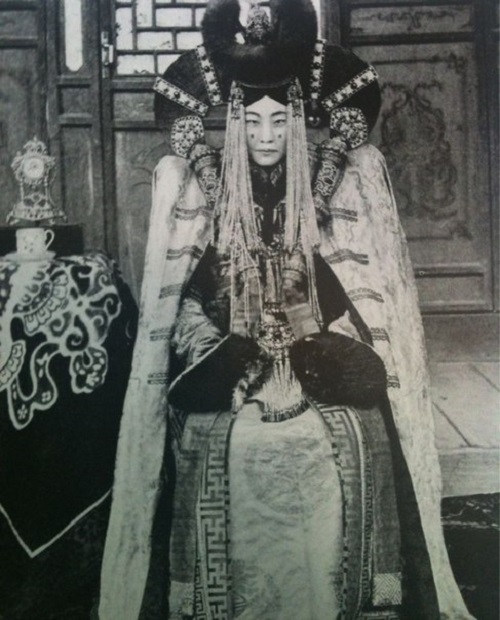 A full set of ornaments of Mongolian women could be 5-6 kilograms. 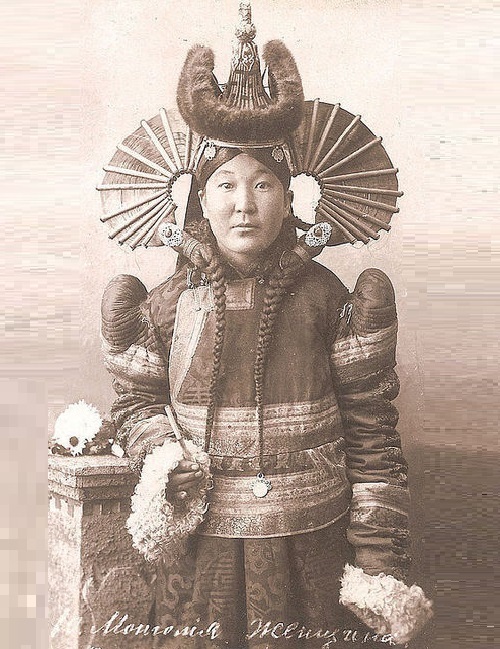 Ethnic ornaments of different nations of the world have long attracted a man with ideas and beauty. 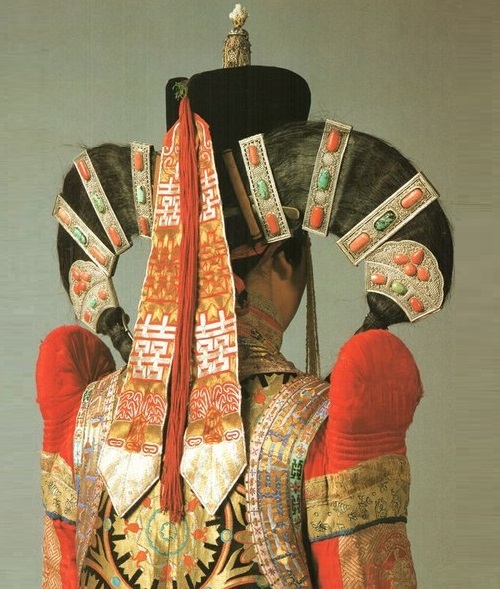 Natural environment has been the greatest inspiration either for ancient man, or for the best designers of our time. 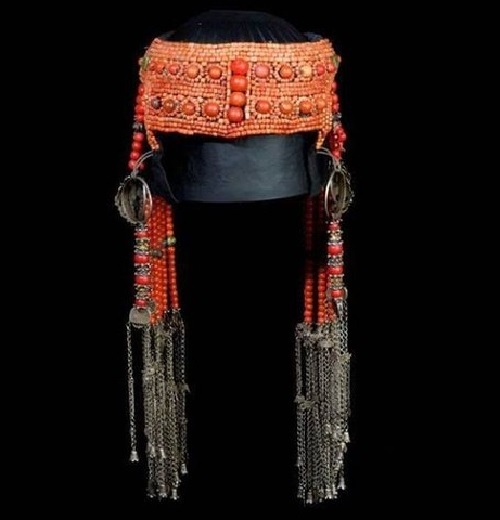 People from ancient times try to frame their appearance, enhance the beauty and stand out in a socially with the help of beautiful bright decorations. 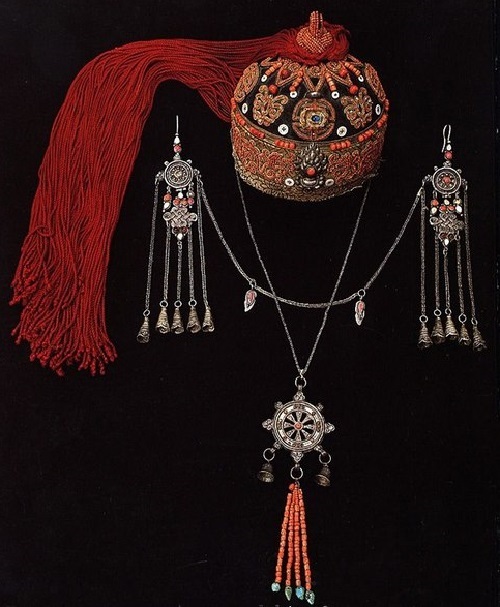 Among these decorations can be distinguished the unique ethnic jewelry ornaments peculiar to a particular ethnic group. 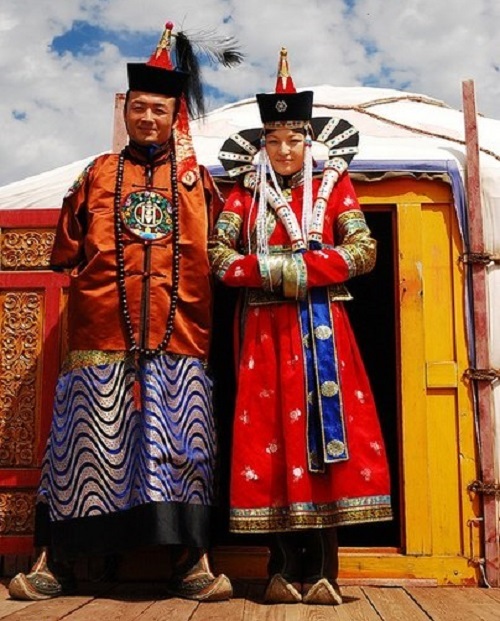 Apparently, it has been long ago when appeared the expression “a man is judged by his woman.” After all, in those days for the wife of the leader was mandatory demonstration of the social status of her husband, and it was through the number of ornaments on her body.